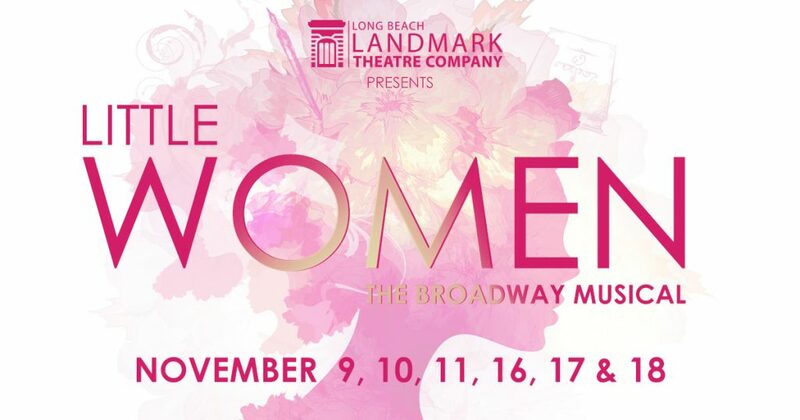 Long Beach Landmark Theatre is proud to announce that tickets for its premier fall musical are now on sale! November 9, 10, 11 & 16, 17, 18. Based Louisa May Alcott’s beloved American classic, this timeless and captivating tale has been brought to life, live on stage! Filled with soaring melodies and poignant lyrics, Little Women follows the adventures of the March sisters on their journeys of personal discovery, empowerment, heartache, hope and love. As with all LBLTC Fall shows, Little Women will be a fully staged production featuring a stellar cast and professional 12-piece orchestra. Join us for this amazing theatrical experience in our magnificent performance space – newly improved with even better sight-lines and impeccable sound!